Handling Stack Of Container Shipping On Twilight Scene. 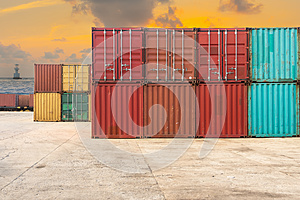 Photo title: Handling stack of container shipping on twilight scene. Handling stack of container shipping on twilight scene., Business transportation.